Cronicl yr Awen: Jean Earle : A Naïve Poet? Jean Earle : A Naïve Poet? I have written on this blog about Jeane Earle in the past. 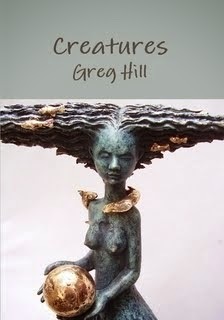 I discuss her at greater length in the current number of the online arts and literary journal Horizon Review. It also contains a number of poems, fictions and articles, and is well worth a look. THIS LINK leads to my article on Jean Earle in which I argue that her deliberate - and I argue sophisticated - use of 'naïve' techniques constitute part of her honesty as a poet. 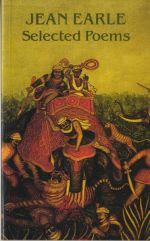 Stuck and lifted on the elephant's tusk. No; what moved me was the tiger's hands. Of the red workaday gleam in the elephant's eye. At the flash of death. The picture was done by a 'naïve' painter. 'Naïve' we call him - and we look for truth. Hands open and shape NO! Hands, not paws. Two or four hands - or one, as in a dying flower. This statement, from her first published collection, could, I argue, be taken as a working principle of all her later poetry both in matters of subject and style. Her statement "we look for truth" I take to be an invitation to look for a similar truth in her writings. This is what I attempt to elucidate in the article. 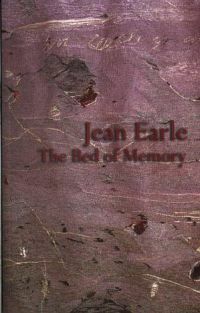 The last volume published by Jean Earle before she died. Diolch yn fawr iawn ar gyfer eich cyfraniad i Horizon! I very much enjoyed your article in Horizon. I've never heard of Jean Earle but I'm blown away by the extracts you quote from her work. Now off to order one of her collections! Thanks Marion, nice to know someone is listening! Hi Greg, I ordered 'Visiting Light', I'm really looking forward to it coming!